When we describe God, many words can be used, ideas given, but one of the most classical of these stemming from Greek philosophy is this: that God is the Unmoved Mover. God, being God, can’t be influenced, as God is the source of all things. 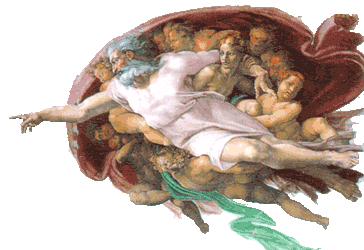 We can’t change God, but God can change us, or so the classical philosophy would go. However, if there’s anything that can poke a hole in this theory, it’s stories in the Bible about Jesus. You see, Jesus is God incarnate, and therefore both human and divine, and as much God as the Father and the Spirit. Therefore, this raises an interesting counterpoint. In Jesus, we find very human emotions. We find joy. We find hunger and thirst. We find compassion, and anger, and a whole spectrum of emotion, and what is emotion if not a reaction? A change? Something acting upon the man who is God? Today, though, we see perhaps the most profound reaction Jesus ever had. Something moved Jesus to do something not seen in any other part of scripture–tears. Jesus wept. The shortest verse in scripture, the most powerful verse in many ways, and often the most misinterpreted, or taken out of context. Jesus weeps in grief for his friend Lazarus. Oh, he knows he can revive him, resurrect Lazarus, and restore what was lost… but loss is still real. Jesus is still passionate, though he is God. So God may be the prime mover, but that doesn’t mean that things that happen our world, our lives, can’t have a moving effect on God. The most powerful of these emotions that Jesus experiences just so happens to be the most powerful experience anyone can have: grief. The pain of loss. The emptiness in one’s life after someone goes. Jesus goes through it, and so do we. For that reason, we read this story, and understand that the grief is only one part of it. There is of course the second part: Joy in resurrection. 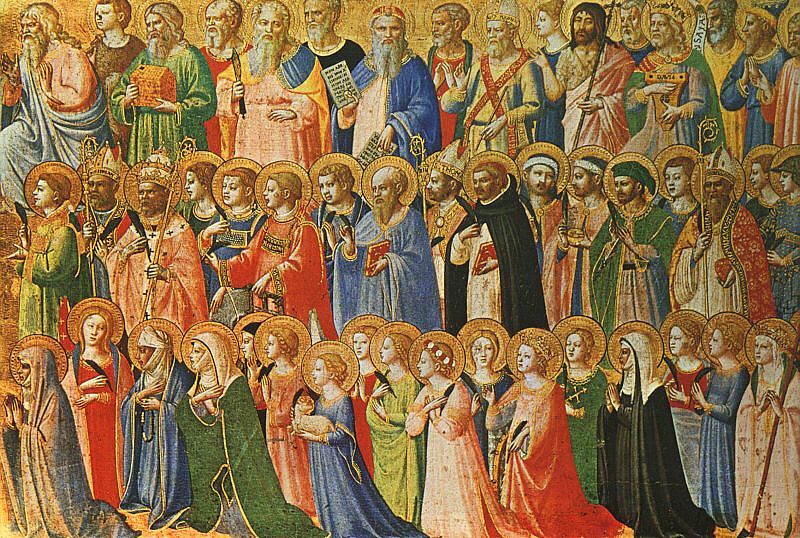 Today is All Saints’ Day, a day we celebrate and venerate the faithful who have gone before us, and have changed from glory into glory. The truth of the resurrection of Lazarus, of Jesus, is made real to us in the lives of the saints, and that is what we celebrate today. God is moved, and in being moved, responds with resurrection. 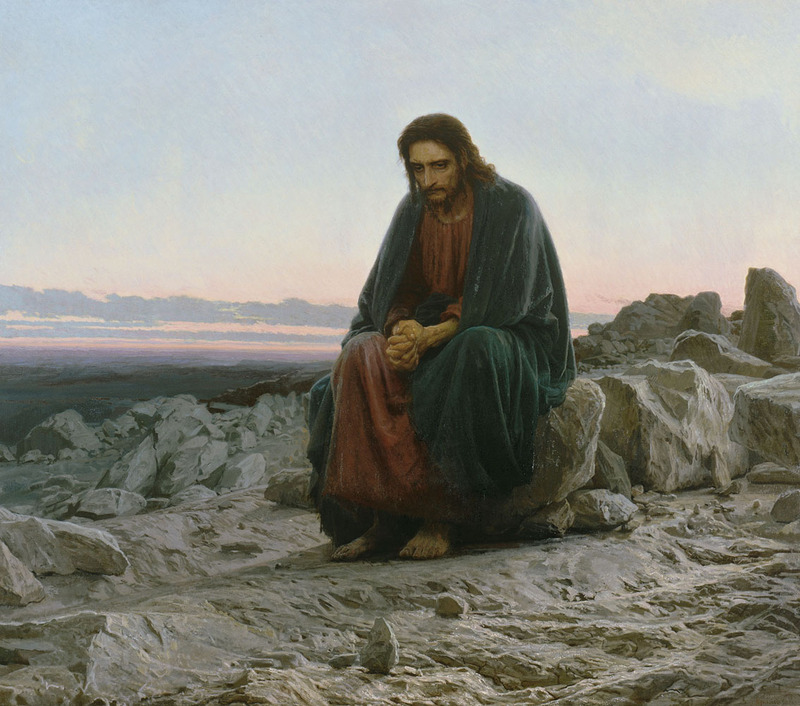 The death of Lazarus is perhaps one of the most perplexing in the gospel of John, because of the circumstances that lead to it: The whole episode could possibly have been avoided. Jesus knew that this was going to happen. He knew Lazarus was going to die. And it could have been avoided. However, Jesus in doing so made a calculated risk: that through the death and resurrection of Lazarus, more might believe in Jesus and his teachings. Perhaps you might just Jesus as foolhardy because of this, perhaps even a bit conceited. However, when it comes to Jesus and his plans, nothing’s really a risk. He knew he could bring Lazarus back. That wasn’t the risk. The risk was that people would believe in him, especially if they knew that he knew that he could have prevented Lazarus’s death. However, as of this point in time, nobody had been brought back from the dead. As far as they knew, death was final. There was no resurrection to believe in. This was the first sign of resurrection to be performed by Jesus. Naturally, Mary and Martha were ticked off. And it was in that moment, in seeing the grief of Martha and Mary, that Jesus felt the weight of death, of grief. Perhaps nobody close to him had died before. Perhaps it was simply this particular situation. 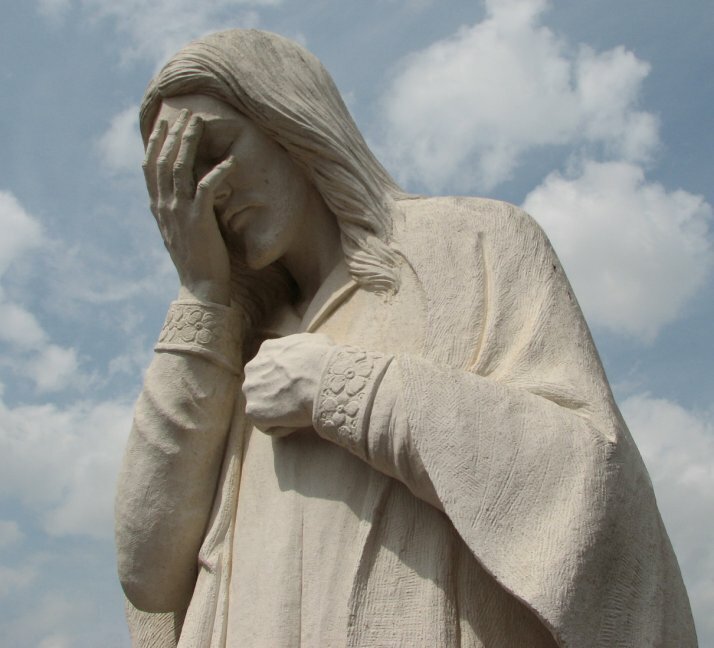 But it was then and there that Jesus wept. He grieved. He cried, and felt something so purely and singularly human that moved Jesus in such a way that nothing else had ever done. I can’t overstate the power of grief. As a chaplain in a hospital, I encountered grief in such a way that has left a mark on me that changed me forever. It was the first time I really experienced death close up, and it felt inescapable. I had never experienced the death of a loved one before when I worked there, and so I went in practically blind. When you’re a chaplain though, they tell you the only way to really get experience is to jump in feet first and figure it out. When you meet your first patient that you know is dying, that’s when it really begins to become real. I had my own level of the ICU to take care of, and half the time, the patients were usually there temporarily, and were moved to a non-ICU floor and sent home. Some however… would spend their last hours there. Rarely did someone pass during the daytime. Usually they would go at night, after their family had left. It was often my job to meet the family and talk them through what was going on, and take care of them in the initial shock period. I usually did what I could. I prayed with them. I loved them, hugged them, held their hands, and whatever they needed to do. Then, they got to go home. I, however, was left with grief for someone I had barely known. That is a difficult burden to bear. Eventually, it got to where I carried so much grief with me over people that I barely knew, I became paralyzed. I was afraid. I had to talk with one of my supervisors about it. I had been afraid of death for most of my life, simply because I had not been close to it before. I was now swimming in it. It raised too many questions for me, about my own faith, that I had a hard time coping. From that day, I was able to move forward. I was able to deal with grief, because I was armed with the reassurance of the resurrection. The same resurrection that Jesus gave Lazarus. The same resurrection Jesus offers to us all. I was feeling the sting of death. Now, I know better. With but a word, Jesus can banish even that greatest of realities for all of us, and reminds us that in him, we are saved. We are saved from death. Saved from suffering. Saved for the resurrection. There’s no sting in death for those who love God. That is why we celebrate a day like All Saints Day. We worship this day in remembrance of all those who have gone before us, because they’ve never really left us. When you die, you don’t cease to be a member of the church. 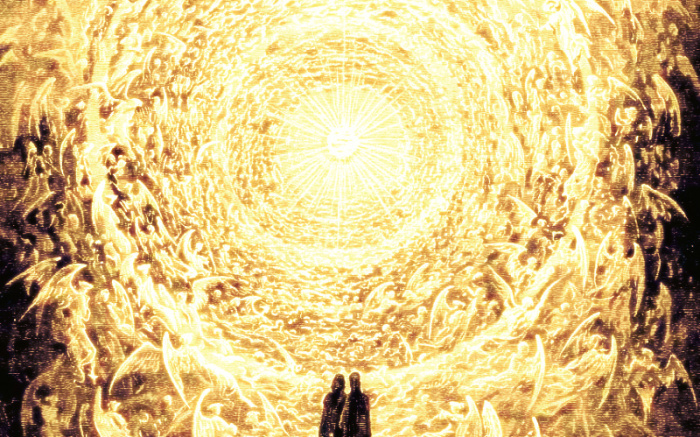 You remain a part of the church even in death, because you have simply entered into the new life, the eternal life. Not only that, you never really leave the living. You remain a part of the lives of those who remember you. Everyone that you’ve ever known or loved that found life in Jesus Christ takes part of that resurrection which is promised to us all. There’s no sting in death anymore, because God was so moved by the grief of death that death was abolished in Jesus Christ for those who believe. Thanks be to God. Amen. This entry was posted in Uncategorized and tagged all saints day, Gospel of John, Jesus, Religion, Resurrection. Bookmark the permalink.